Shipbuilding Completion is a subsidiary of Meyer Turku Ltd. Our operation started in 2009 when we finalised the elegant restaurants and the pleasant youths’ recreational facilities of the cruise ship Oasis of the Seas. After that, we have participated in sending all the more magnificent cruise ships to navigate the world’s seas. Shipbuilding Completion specialises in project management, and the company is equipped with solid know-how in shipbuilding. Our comprehensive understanding of the requirements of cruise ships’ spaces and facilities is one of the strengths of our organisation. We are committed to our mission of delivering high-quality public spaces to cruise ships reliably – on schedule, within budget and never compromising the vision. Our success is based on high-grade, cost-efficient project management that covers background work, design, purchasing and logistics. We are proud to be part of Turku’s shipyard culture. Our pleasant office is located at the core of our operation in the immediate vicinity of Turku Shipyard. The city of Turku’s prosperous shipbuilding tradition dates back to 1737. 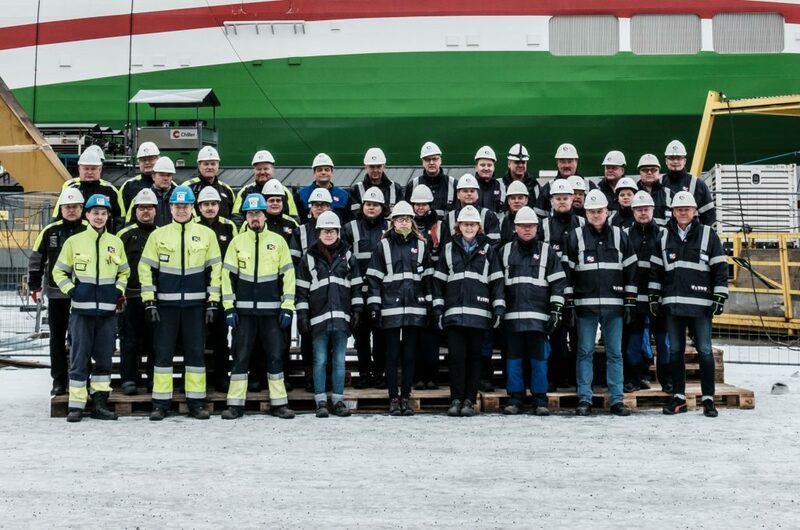 The success of Turku Shipyard is based on passion for shipbuilding and care for employees’ welfare. Since 2014, the shipyard has been directed by the German Meyer family. The Meyer family have a long history in shipbuilding. Alongside its affiliated shipyards – Meyer Werft in Papenburg and Neptun Werft in Rostock – Meyer Turku is one of the world’s leading cruise ship builders. Turku Shipyard’s long order book demonstrates its solid shipyard know-how, and its success is reflected in Meyer Turku Ltd’s subsidiaries. In addition to Shipbuilding Completion, the subsidiaries include the Piikkiö-based cabin factory, Piikkio Works Oy, and the engineering company for shipbuilding and offshore industries, ENG’nD Oy. Our personnel develop their skills by active participation in training. In addition, the company’s key strategies involve strengthening the company culture and committing its employees. We are proud of our personnel’s positive, customer-oriented attitude, which is reflected in all of our operations both internally and externally. Our specialists in various responsibility areas collaborate closely in order to achieve the best end-result. Shipbuilding Completion’s professional and committed personnel are known for their capacity to utilise innovative solutions and materials that guarantee the practicality of the spaces we build without compromising the client’s experiential vision. In addition, we can count on our flexible network of suppliers who are proud of their competence. Read more about the company’s job descriptions below. A designer’s duties may consist of either HVAC design or interior design. Our designers hold a technical degree received at either a polytechnic or a university. Designers are responsible for detail design tasks which include the examination of solution options and technical specifications that support the purchasing department. Shipbuilding Completion expects thorough familiarity with materials and good negotiation skills from its purchasing specialists. Our specialists have extensive subcontractor networks. They are cost-aware and understand the significance of successful purchases in terms of strategy and end user experience. Commercial education (a Bachelor of Business Administration or a Master of Science in Economics) and/or technical studies (a Bachelor of Engineering or a Master of Science in Technology) provide a solid background for the performance of a purchasing specialist’s tasks. Project managers and coordinators are responsible for the management of projects as a whole. Characteristics that facilitate managing their extensive job description include methodicalness, stress tolerance and good negotiation skills. A Bachelor of Business Administration degree or comparable education provides a good background for a project coordinator. A Bachelor of Engineering degree is a fitting degree for a project manager. The tasks of a work site manager include the management of construction work in designated areas. He or she supervises subcontractors’ employees, maintains discipline at the construction site and ensures that projects are completed on schedule and in compliance with quality standards. The education background of our work site managers is versatile, but most often they hold a degree in construction engineering or technology.